Over the years Krazy T has grown from a man to a company. DJ Krazy T offers Professional Disc Jockey (DJ) Services in Charlotte North Carolina and surrounding states. Krazy T Entertainment services (KTES) Offers Professional Wedding DJ, Event DJ, Club DJ, Party DJ and Karaoke Services along with Professional Sound and Lighting. Choosing professional services form KTES is a WIN! Meet the staff at Krazy T Entertainment services. These are our event hosts and MCs! This is the executive office. Originally from New York, Marlaina has been with Krazy T Entertainment (KTES) since its inception in 2009. Being a successful business owner for over twelve years, Marlaina has played an integral role in the growth and success of the Krazy T Entertainment Services Team. Marlaina is responsible for all financial decisions, out of state bookings, assisting with travel and ensuring that Krazy T Entertainment Services has state of the art equipment. She is also a Custom Lighting Specialist. Dana is directly responsible for Branding KTES/DJ Krazy T.
Vonyetta is an Event | Wedding host and can be frequently found on the Fox network affiliate show Good Day Carolina. Vonyetta is also a celebrity and fashion show red carpet host. The Ultimate Party host, Charlotte's Premier Radio personality joins Krazy T Entertainment services as an Emcee | Wedding Host | Event Host | concert Host. Fly Ty's Radio Career: from WPEG power 98 in Charlotte to KRNB 105.7 Dallas, to KKDA k104 Dallas, back to Charlotte on MY 92.7, OLD SCHOOL 105.3 and Now he is on V101.9. Fly Ty is also a comedian as well as the Arena host for the Charlotte Hornets. A Huge part of the Charlotte Community Fly Ty can be found at numerous Charity events and weekly Ministry and community functions. Fly Ty is the people's host. Jacinda has over 10 years of media experience. She's currently an Arena Host for the Charlotte Hornets as well as freelance Reporter for WCCB. With 8+ years in morning radio and 5+ years in local news, she is a well-rounded host who can perform in any arena. Jacinda delivers great energy, exudes excellent communication skills, and is very engaging in any crowd. Whether it's a crowd of 22,000 fans or a room of 100 family members Jacinda will make sure great memories are created and that they last a lifetime. Your event is made extra special when Bluz is your host, you can book Him as a host or add him to your wedding package as a Master of Ceremony. You can't lose when you book Bluz. The World Famous "incredible Dee Jay Polo" joins KTES as a Producer and Staff DJ. Polo who comes with 20+ years experience has been a tour DJ for several major Hip Hop acts. Polo can be found Monday - Friday at 12 noon on Old school 105.3 in Charlotte North Carolina. DJ Krazy T called Dee Jay Polo the hottest DJ in the Carolina's. We are proud to have Polo as a KTES DJ. DJ Tazz, originally from SC, has made his home in Charlotte, NC since 2005. He has been passionate about music for the past 20 years and in 2010 he exploded onto the DJ scene and is ready to share his love and passion for music on KTES dance floors all over North Carolina. His extensive collection includes a wide range of music from Top40, Pop and Rock to Hip/Hop and R&B to Dance, House, Electro House, Prog House and Trance. DJ Tazz believes in mixing everything up so everyone will enjoy the party. Streetz joins KTES as a staff DJ, Dee Jay Streetz brings 10+ years of experience and has a Knowledge of ALL types of music, Streetz has a library or over 200,000 songs and videos. 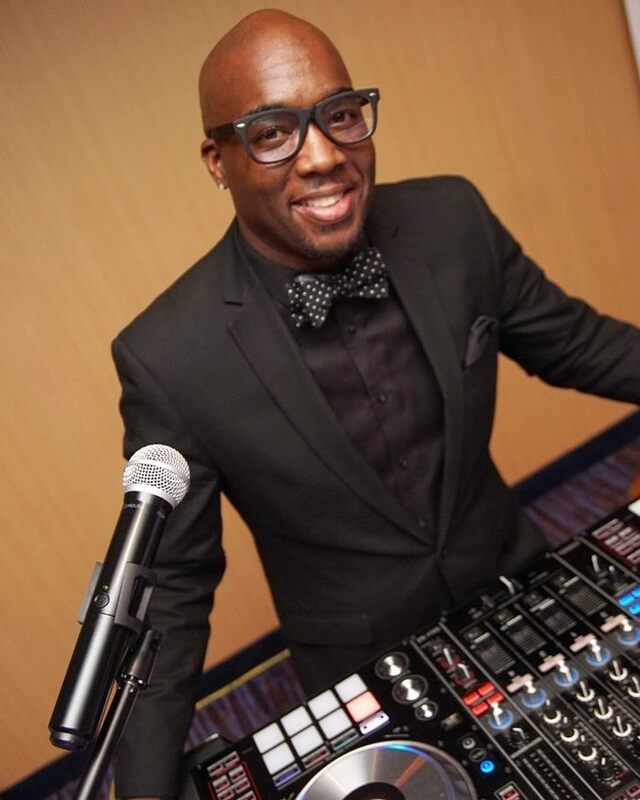 Dee Jay Streetz is laid back and smooth and event is perfect when he is your DJ. Please keep in mind that there is only one prototype. He is unable to be duplicated. He is a mixing modern-day Samurai. Shogun's mission; seek and destroy parties by keeping the party hot! The Queens, NY native is an International club mixologist who has blessed many venues. Dazzling eclectic crowds in the trendiest clubs for events like MYC's Video Music Award after-parties, NBA All-Star Weekend, Rock Fashion Week Miami to spinning at the Micheal Jordan Celebrity Golf Invitationals in Atlantis, Bahamas. Shogun has proven to be well versed in various genres such as top 40s, hip-hop, electronic, and rock while systematically catering to any crowd. It doesn't stop there, the 2012 Democratic National Convention featured DJ Shogun at Live nation's The Fillmore. He has also performed at the Staples Center, UNCF Evening of the Stars & Empower Me Tour, House of Blues, Microsoft, Columbia University, Davidson College, Texas A&M among other notable universities across the nation. Shogun was sought out by Red Bull to compete in the high-profile Thre3style competition in which he has made several competitive appearances. A Dynamic vocalist, Tasha will give you and your guest goosebumps. Tasha has a soulful and a smooth sound. Tasha who is originally from New Haven, Connecticut is currently making waves in Charlotte, North Carolina. She has been compared to Patti Labelle. If you need a singer who can sing the star spangled banner, take you to church or give you a mello atmosphere Tasha is your girl. Tasha Joins KTES as a Wedding Singer, Event Soloist, and Background Vocalist. Former Musical Director for John P Kee, Matt Kelly is one of the best Musicians / and Producers Charlotte North Carolina has ever seen. Matts vocal range is not only impressive but it is seductive. He is easily compared to Tank and Tyrese. With Matt singing at your event your guest will be Wowed! Matt has original songs and also does covers in every genre. Matt Joins KTES as a Pianist, Keyboard player, and Vocalist. Your wedding day is made extra special when Matt Kelly is responsible for your music. With a degree in Music and 15 years of Professional experience, Matt Kelly is ready. Book him now 424-BE-KRAZY. JKnowTruth has taken the east coast by storm with his innovative, ground-breaking concepts for event hosting, He is highly requested because he brings life to any event…naturally. JKnow Joins KRAZY T ENTERTAINMENT SERVICES (KTES) as the Ultimate Host. A Powerful, commanding and soulful Voice, Simply put he is Eliah! For a very long time, there has been an empty space; an empty space in the music scene that very few artists have been able to fill. This is where international recording artist, Eliah, walks in, filling the empty space where " Grown Man Music" formerly resided in days gone by. He's bringing it back in a major way, taking listeners back to a simpler place and time, where men opened car doors for their ladies. We are lucky to have Eliah as a part of Krazy T Entertainment services. Call to book him now available for Weddings, concerts, corporate shows, and Events. Krazy T Entertainment services has the Perfect Band for your next event. If you need a 3, 5, 6 or 7 piece band KTES has got you covered. From Keys to Strings and lead singers we can entertain ALL audiences, with popular cover hits, 70's, 80's and today's hit. Our Band also plays gospel and Big band music.